A lucid treatment of a chapter from the Adytatma-Ramayana containing the whole Vedantic doctrine in a nutshell. The Rama Gita is the fifth adhyaya of the Uttarakanda of the well-known Adhyatma-Ramayana, which give the spiritual interpretation to the main incidents and personages occurring in the Srimad Ramayana. 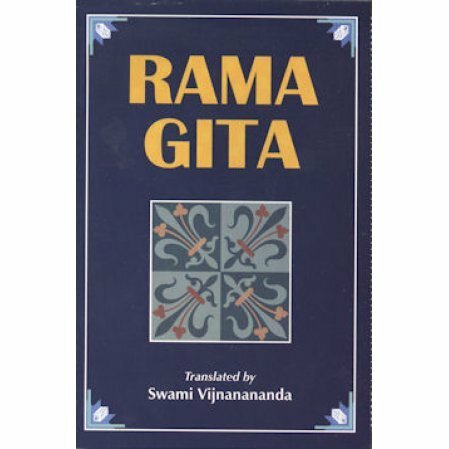 The Rama Gita contains Rama's spiritual message to his brother Lakshmana and contains the whole Vedantic doctrine in a nutshell. Originally translated by one of the monastic disciples of Sri Ramakrishna and the fourth president of the Ramakrishna Order. With Devanagari text and English translation.